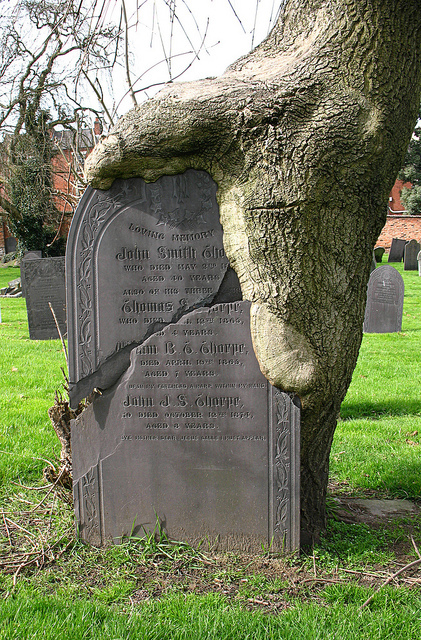 In Nottingham, England this image seems to represent a giant dinosaur foot crushing a gravestone. 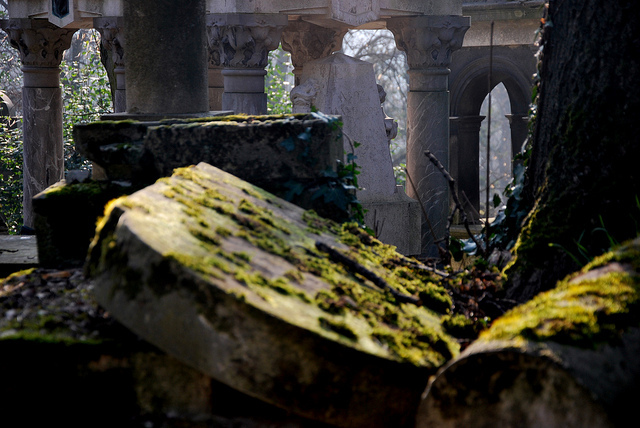 and lastly, from Pere LaChaise Cemetery in Paris, France. 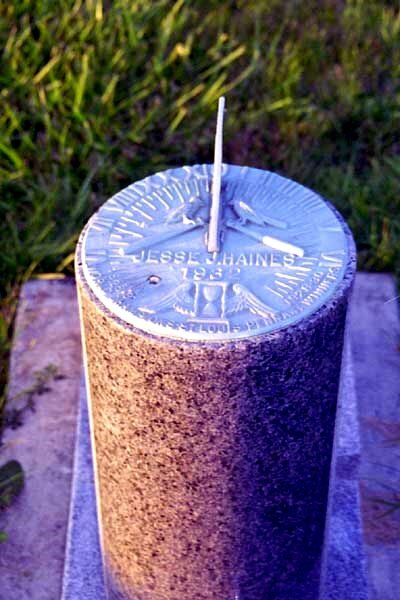 Horizontal sundials are most commonly used on headstones to denote the passage of time. A circular plate with an object known as gnomon which has a thin rod or straight edge casts a shadow as the sun moves across the sky. The shadow edge aligns with hour markers which are spaced accordingly. As the sun moves from east to west, the shadows formed predict the time of the day. 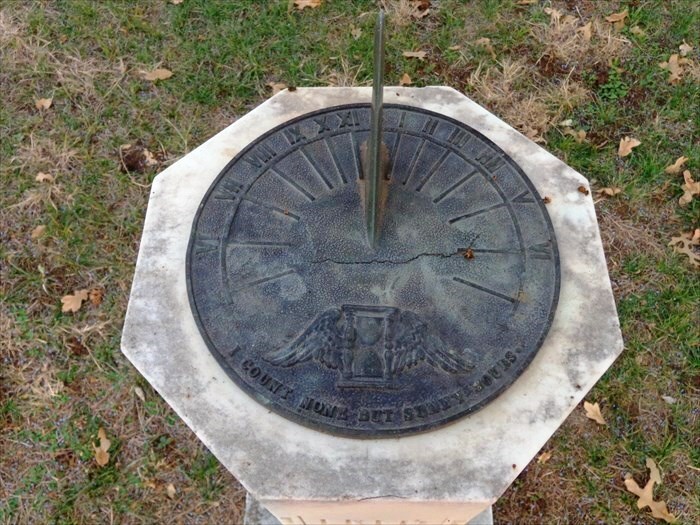 Roman numerals are commonly used to indicate the hour markers. An hourglass flanked by wings is usually part of the design. 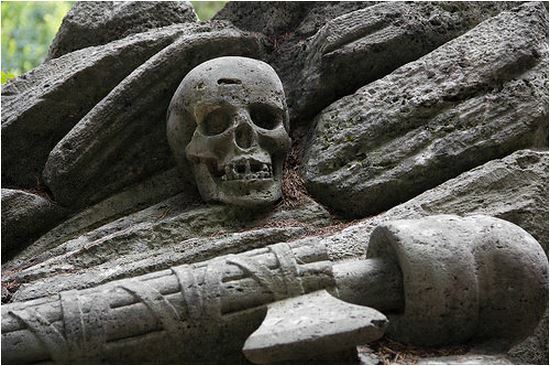 The hourglass is the classic symbol for Time. As the sand runs out, it symbolizes the fleetness of life. 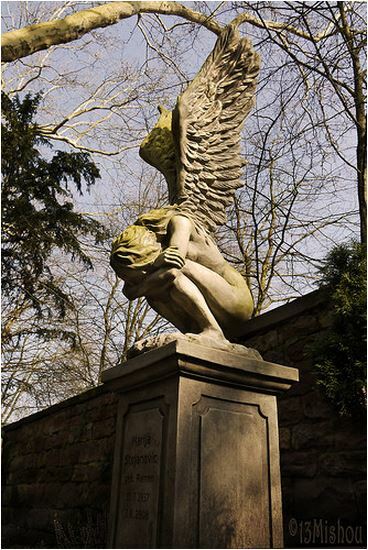 The accompaniment of wings may also signify the resurrection of the dead. 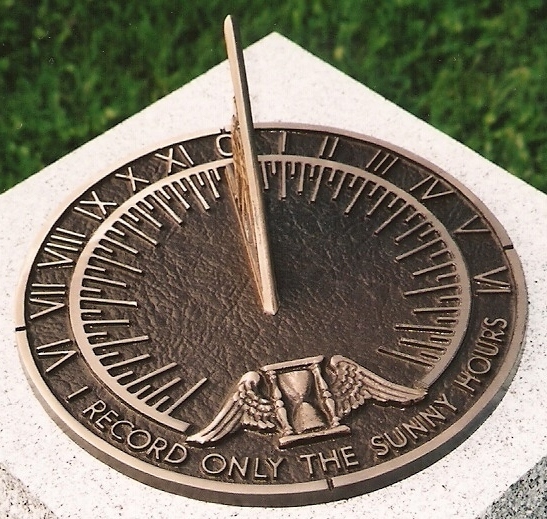 I count none but sunny hours. 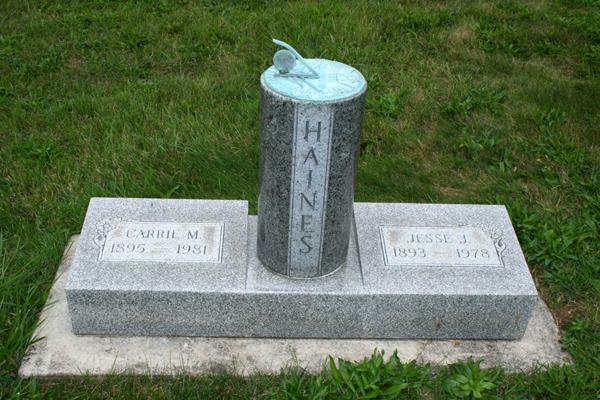 Jesse Haines was a pitcher for the St. Louis Cardinals. 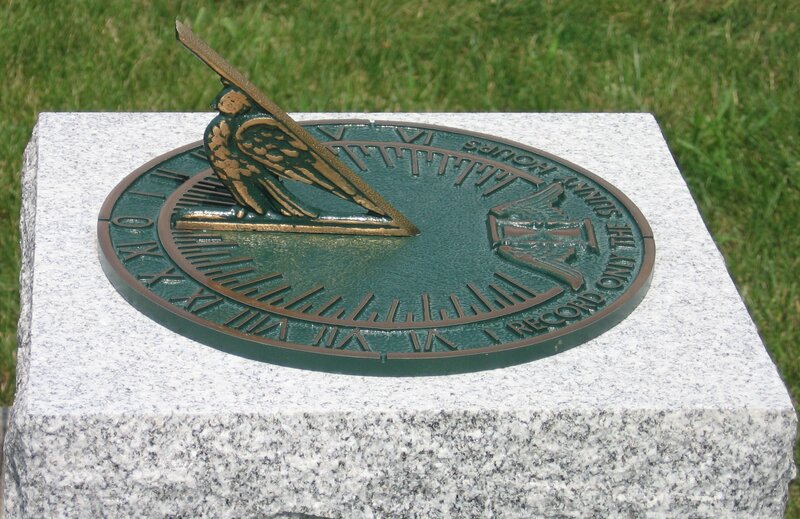 Upon his retirement from the Cardinals, the organization presented him with a sundial, which was placed on his gravestone at Bethel Cemetery.